My daughter is obsessed with panda bears. 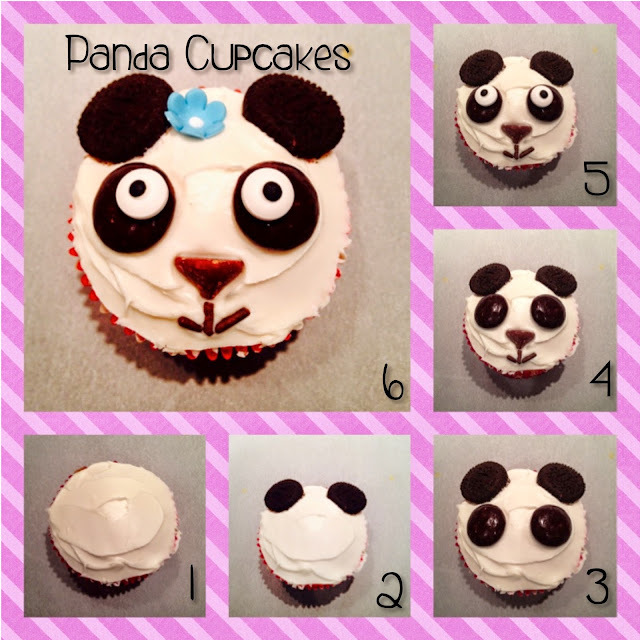 She requested a panda theme for her 8th birthday so I decided to attempt a panda cupcake. I searched Pinterest for ideas and this is what I came up with. These are the ingredients I used for the face construction. I found candy eyes at Walmart but I also saw them at Michaels. I got the candy flowers at Walmart too. The ears are one separated mini Oreo. The large part of the eyes are junior mints. 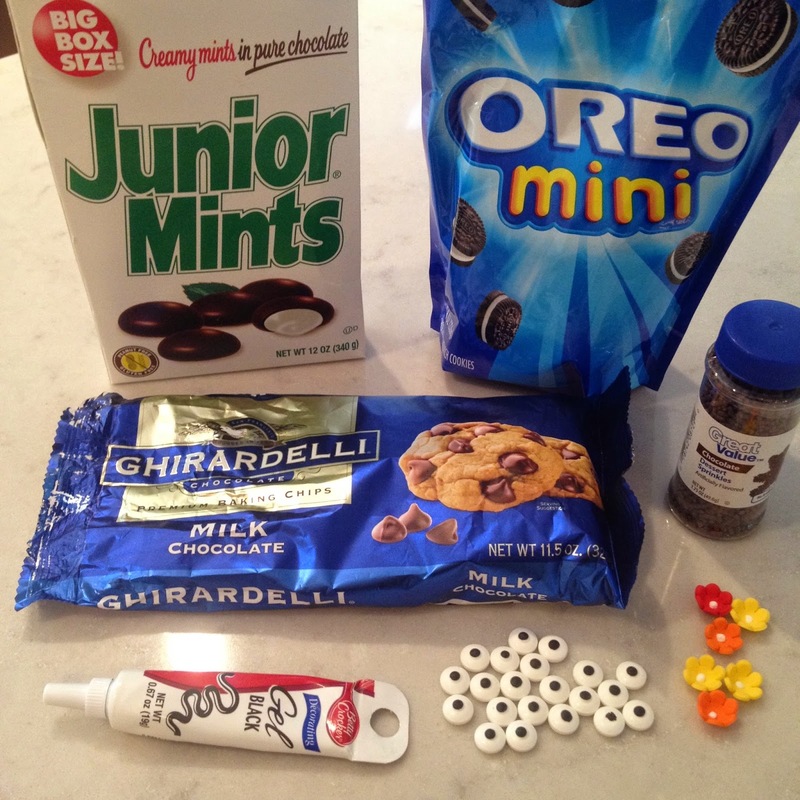 I used a dot of the black icing to attach the eye to the junior mint. I use the larger sized Ghirardelli chocolate chips for the nose. The hardest part was strategically placing the chocolate sprinkles for the mouth. The kids at my daughters school went crazy when they saw them and she was super happy I made them. Mission accomplished!